Professor Keri Thomas OBE updates on best practice in end of life care, developments with the Gold Standards Framework for Social Care and the impact it can have on social care and health. Dr Keri Thomas, who founded the UK’s largest provider of end-of-life-care training, is credited with improving the lives of a million people. 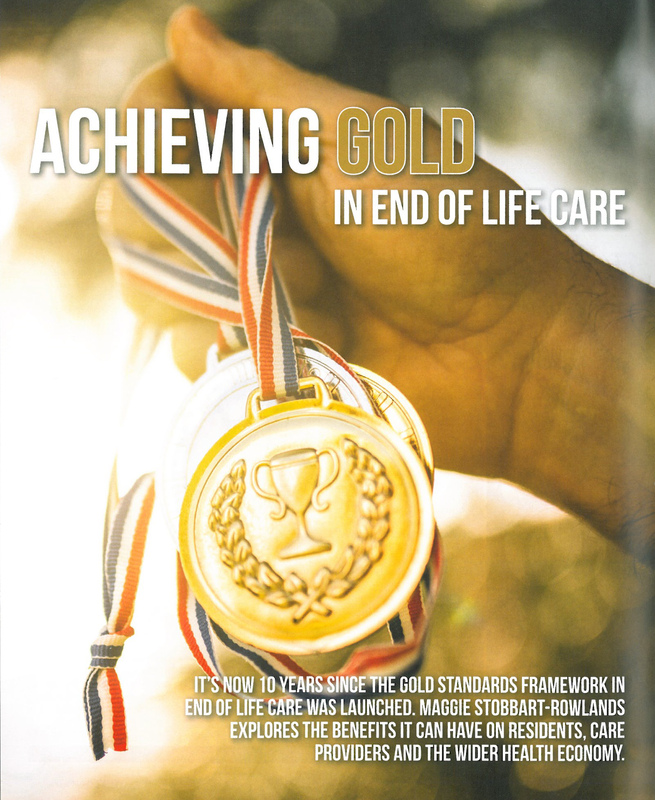 She set up the Shrewsbury-based Gold Standards Framework, which lays down nationally recognised standards for organisations which provide care for people approaching the end of their lives. Over the period of 16th - 18th April, 2015, Professor Keri Thomas and Clinicians Chris Elgar and Lucy Giles visited the island of Jersey to deliver the launch of one of GSF's most comprehensive Cross Boundary Care projects. Most nurses are involved in the care of 1% population currently nearing the end of their lives: that is, people considered to be in their final year, months, weeks or days of life. The Gold Standards Framework (GSF) programmes can help provide a structured framework in this challenging area, leading more people to live and die well where they choose. 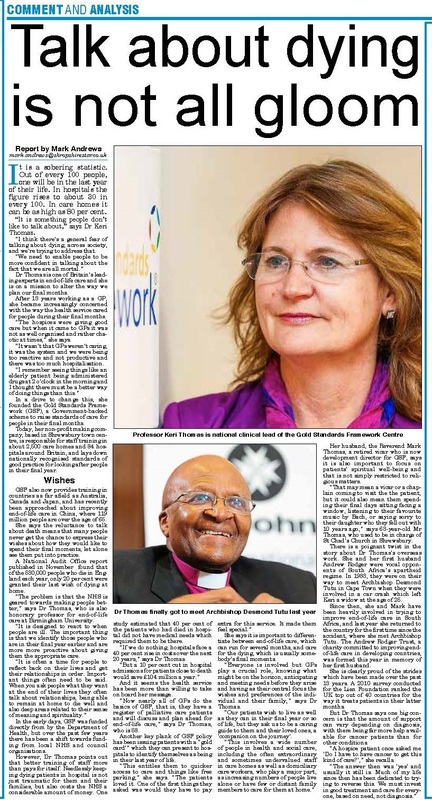 Please access the link above for the entire article. Article featured in the Shropshire Star on 11 March 2015 entitled 'Talk about dying is not all gloom'. 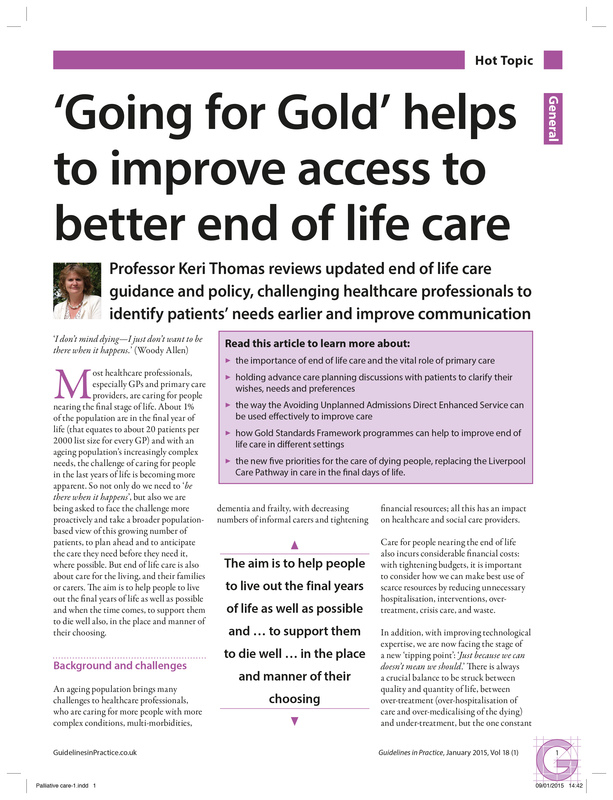 Professor Keri Thomas reviews updated end of life care guidance and policy, challenging healthcare professionals to identify patients' needs earlier and improve communication. 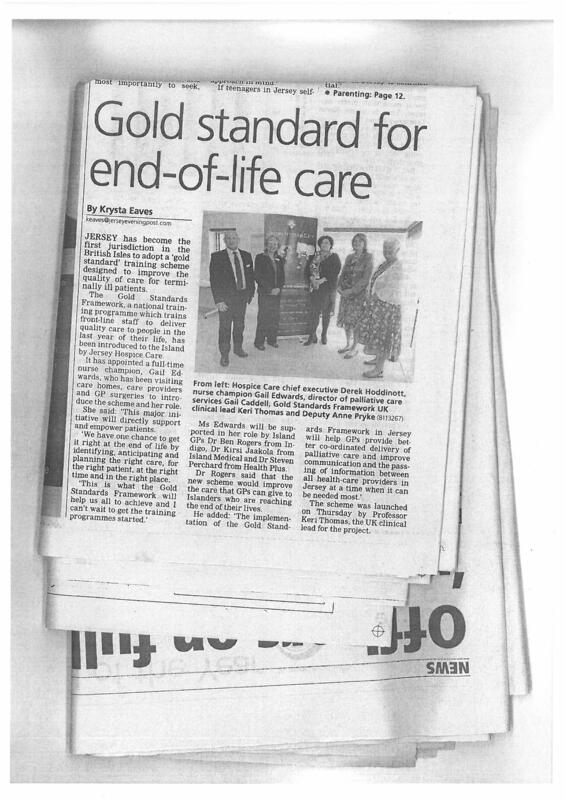 It’s now 10 years since the Gold Standards Framework in End of Life Care was launched. Maggie Stobbart-Rowlands explores the benefits it can have on residents, care providers and the wider health economy.
" 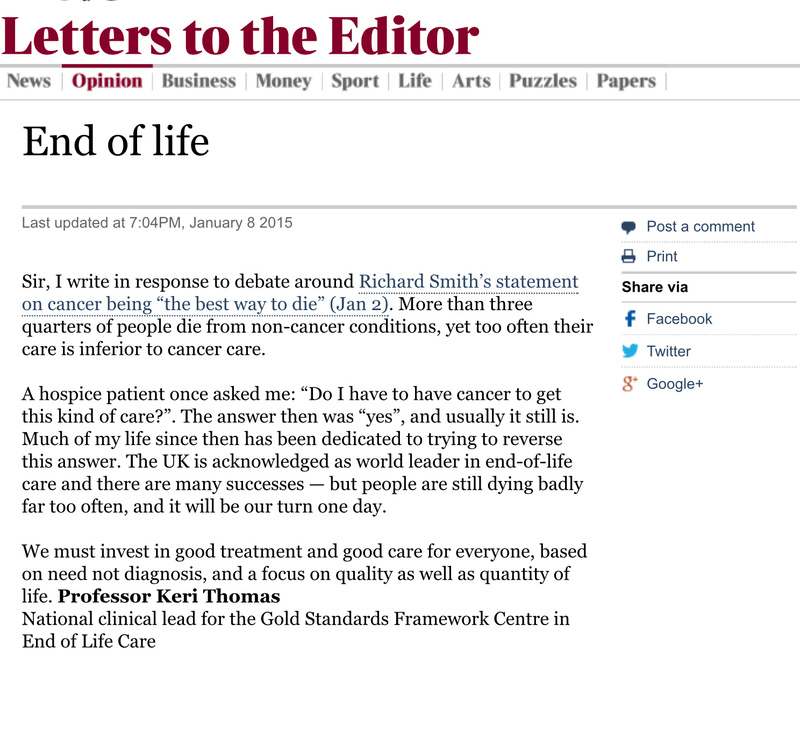 Sir, I write in response to debate around Richard Smith’s statement on cancer being "the best way to die" (Jan 2). 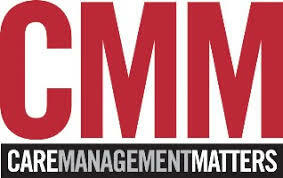 More than three quarters of people die from non-cancer conditions, yet too often their care is inferior to cancer care. A hospice patient once asked me: "Do I have to have cancer to get this kind of care?". The answer then was "yes", and usually it still is. Much of my life since then has been dedicated to trying to reverse this answer. 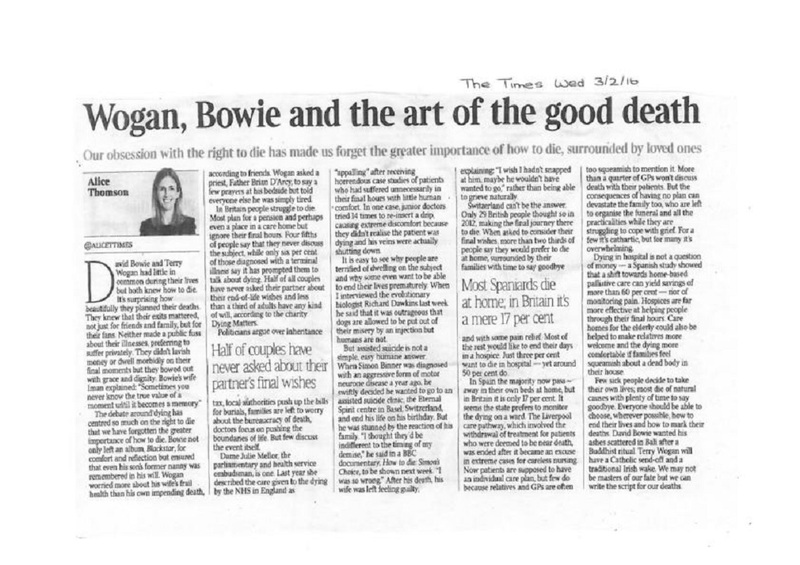 The UK is acknowledged as world leader in end-of-life care and there are many successes — but people are still dying badly far too often, and it will be our turn one day. We must invest in good treatment and good care for everyone, based on need not diagnosis,and a focus on quality as well as quantity of life." 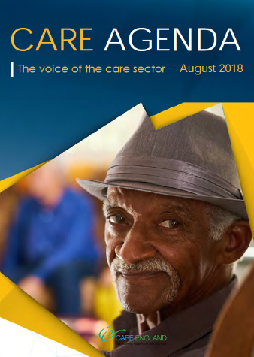 The British Geriatric Society's most recent newsletter features an article from GSF - Structure in the midst of uncertainty: The Gold Standards Framework and Amber Care Bundle. 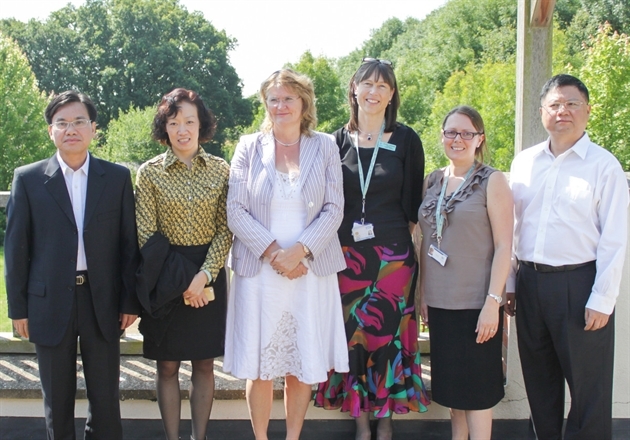 A delegation of healthcare managers from China visited St Richard’s Hospice in Worcester yesterday to learn how people nearing the end of their lives are cared for in the UK. BMJ Awards update - The BMJ Awards Ceremony was a black tie event held at the Park Plaza Hotel, Westminster on the evening of Thursday 8 May. The Gold Standards Framework Primary Care Programme was shortlisted in the Education Team category and although we didn't win, to be shortlisted in the top 6 of the 66 applicants is a fantastic achievement. 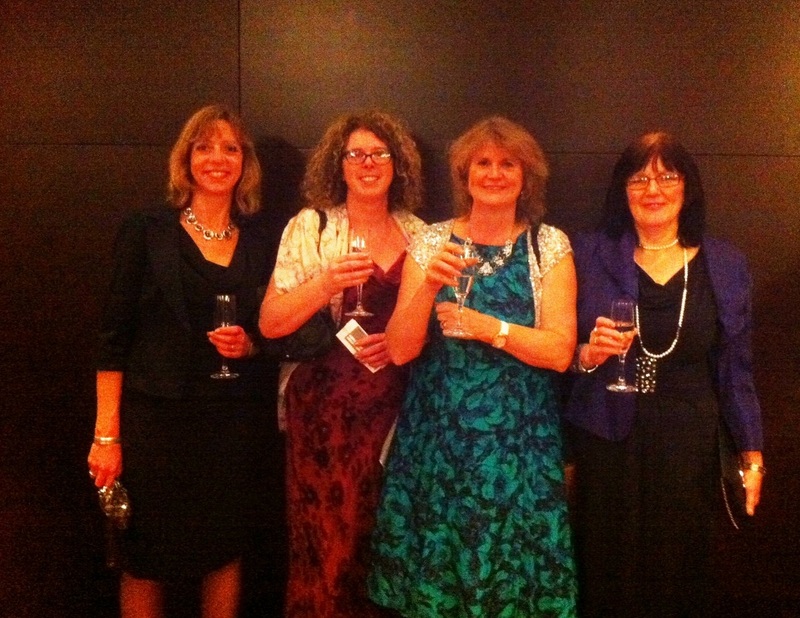 A photograph of the GSF Team enjoying the evening. 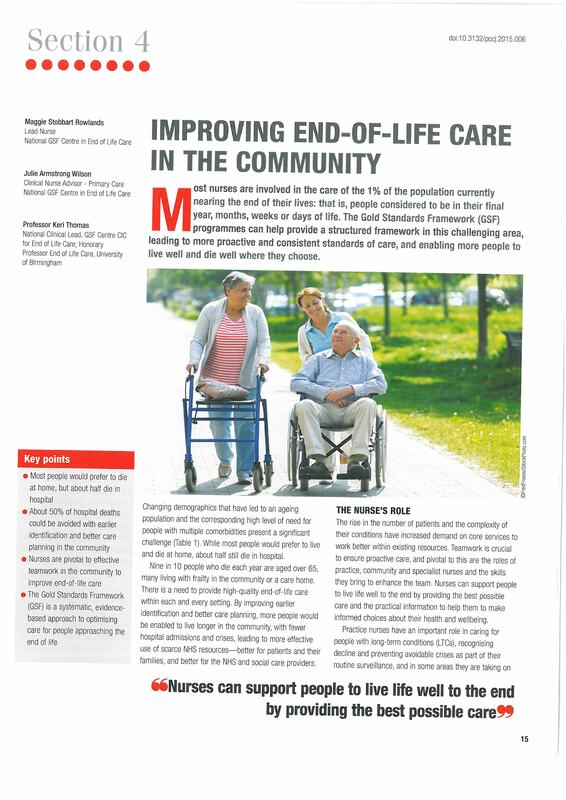 'End of life care training in care homes should be mandatory', says end of life care expert, featured in the News and Events section of Carehome.co.uk. Please for the full article.